Hi! What a really great work! The colours and the wings are awasome! Awsome scan ! Thanks for sharing ! Lovely! It is like a birth of an angel! 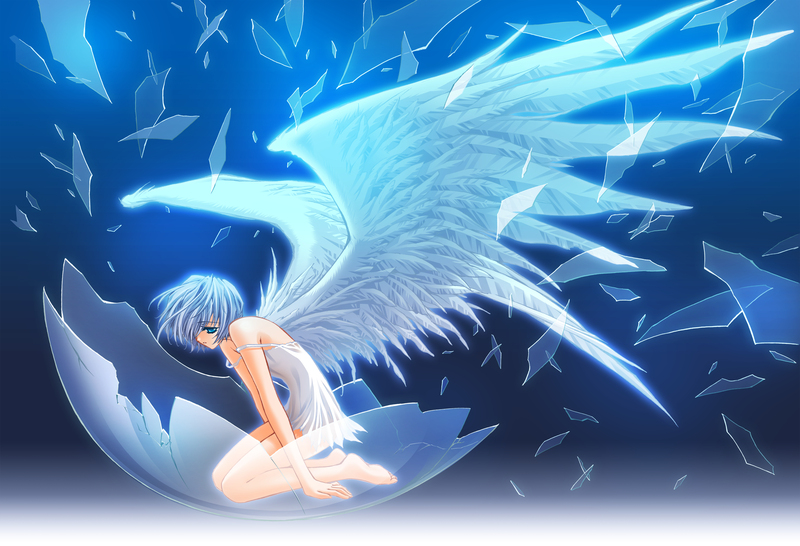 i love the wings. very nice scan, fav.! beautiful! exactly what i was looking for! thanks for sharing! Wow! the wing is awesome! and shattering egg is beatiful!